Bachna Ae Haseeno that released last week, received flak from some critics while others appreciated it. But the opinion was unanimous when it came to the movies soundtrack. The hummable soundtrack of Bachna Ae Haseeno by Vishal Shekhar was a hit with the audience. Check out the haunting tune of Ahista Ahista sung by the talented Lucky Ali. Ranbir Kapoor and Minisha make a great couple to look out for in this video. 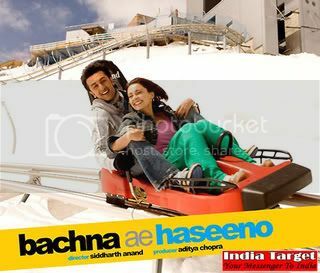 Share Video :Ahista Ahista Full Song Video From Bachna Ae Haseeno with your friends on Facebook. I have seen this movie……again the same story.